The country of Samoa is composed of the ten most westerly of the Samoan Islands in the South Pacific region known as Polynesia. The Polynesian peoples settled the region some 3000 years ago; Europeans first arrived in the 18th century, and by the late 1800s control of the islands was divided between the US and Germany. New Zealand took possession of the German portion during World War I, and the nation of Samoa gained its independence in 1962. Each of these islands is a tropical paradise with its own attractions, including glistening beaches, coral reefs, lagoons and towering cliffs; some of them have no permanent residents apart from the Polynesian wildlife. 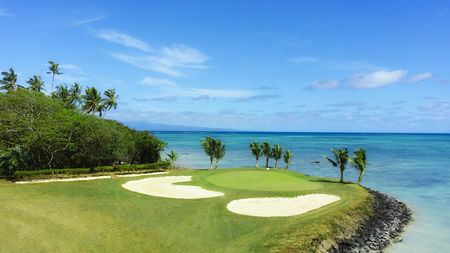 As an added attraction, the most populous of the islands, Upolu, boasts three golf courses, each enhanced by stunning ocean and tropical vistas. Samoa is a laid-back place, and this characteristic is reflected in the golf here, so be prepared to encounter 6-, 8- and even 10-ball flights. 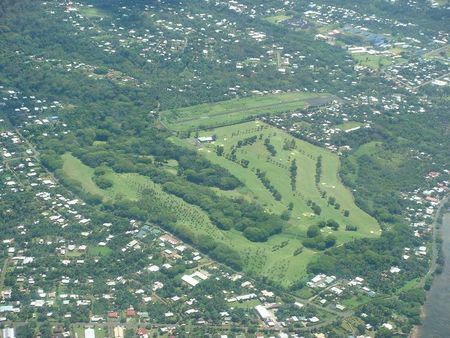 The game has not attracted the kind of destination tourism here that Fiji commands, but players are still advised to bring their clubs if they find themselves in the area. The premier course is the 18-hole, par 72 layout at Penina Golf Club, which was constructed on the site of a US military installation from World War II.